Lion Air reviews Boeing airplane orders in wake of crash Co-founder upset by Boeing statement on investigator report Any request to cancel would likely trigger negotiations Lion Air has 190 Boeing jets on order yet to be delivered Boeing says supporting Lion Air through "very tough time"
Indonesia's Lion Air is reviewing airplane purchases from Boeing Co and has not ruled out cancelling orders as relations worsen in a spat over responsibility for a 737 jetliner crash that killed 189 people in late October, sources told Reuters. 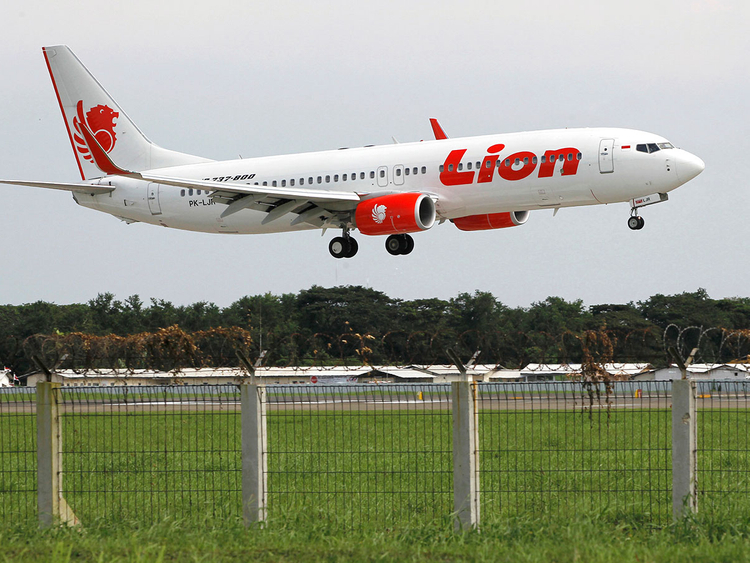 Group co-founder Rusdi Kirana is furious over what he sees as attempts by Boeing to deflect attention from recent design changes and blame Lion Air for the crash, while the airline faces scrutiny over its maintenance record and pilots' actions, said the people, who have knowledge of the matter. Kirana is examining the possibility of cancelling remaining orders of Boeing jets "from the next delivery", according to one of the sources who is familiar with his thinking. Another source close to the airline said it was looking at cancelling orders. Kirana, a former group CEO who now serves as Indonesia's ambassador to Malaysia, remains closely involved with Lion Air and hosts a monthly meeting in Kuala Lumpur with the heads of the group's airlines based in Indonesia, Malaysia and Thailand, according to the second person and an industry source. No final decision been made by Lion Air, but discussion over the fate of $22 billion of remaining orders highlights the stakes surrounding an investigation involving Boeing's fastest-ever selling jet, the 737 MAX, which entered service last year. Any request to cancel could be designed to put pressure on Boeing and may require lengthy negotiations. Many airlines defer orders, but industry sources say aerospace suppliers rarely allow much scope for unilateral cancellations. Lion Air declined to comment. It was also not immediately clear how much of the airline is owned by Kirana. A Boeing spokesman said: "We are taking every measure to fully understand all aspects of this accident, and are working closely with the investigating team and all regulatory authorities involved. We are also supporting our valued customer through this very tough time." Kirana, who co-founded the airline with his brother in 2000, ordered the review of airline purchases in response to Boeing's statement last week focusing attention on piloting and maintenance topics, the person said. Boeing released the statement focusing on maintenance actions spread over four flights in the run-up to the fatal flight on Oct. 29, after investigators issued an interim report that did not give a cause for the crash. Boeing is also examining software changes in the wake of the crash, while insisting longstanding procedures exist for pilots to cancel automated nose-down movements experienced by the 737 MAX in response to erroneous sensor readings. It has come under fire from U.S. pilots for not mentioning the MCAS system - a modification of existing anti-stall systems - in the manual for the 737 MAX, which began service last year. "Why are they changing (software) if there was nothing wrong?" the person familiar with Kirana's thinking said. Boeing has said all information needed to fly the 737 safely is available to pilots and that its workhorse model is safe. But the row highlights an unusually polarised dispute over the causes of the crash. Experts say most accidents are caused by a cocktail of factors and parties rarely comment in detail before the final report, which often follows a year of analysis. In its statement, Boeing recapped the interim report and listed questions on maintenance and pilot behaviour that it said remained unanswered in the 78-page document, but did not mention the MCAS modification covered in an earlier safety bulletin. It is not the first time an airline has crossed swords with its supplier after a crash. Lion Air's rival AirAsia Group Bhd clashed with Airbus SE after its Indonesian subsidiary lost an A320 in 2014. It continued to take deliveries, but relations never fully recovered and it later toyed with buying 787s from Boeing.